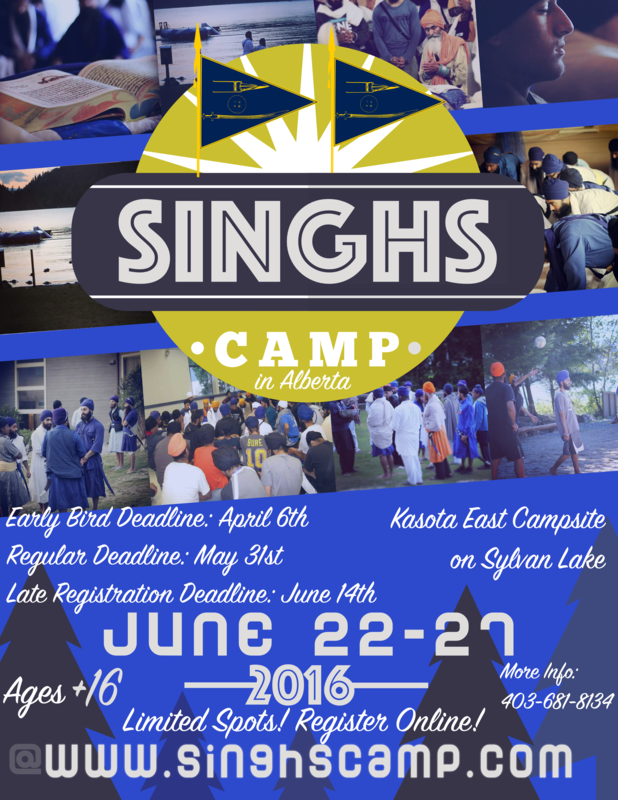 Singhs Camp 2016 registration is now open! Register today for Singhs Camp International 2016 from June 22-27, 2016 in beautiful Sylvan Lake, AB. Early Bird pricing until April 6th! Final registration deadline on June 12th. Don’t delay! There are a limited number of spots available. Thanks to Guru Sahib’s kirpa, this year’s Singhs Camp was another amazing experience with an atmosphere of unity, learning, and fun. It was an unforgettable week spent at Guru Sahib’s charan and with amazing Gursikhs to pass on their experience and knowledge. Registration is now open for Singhs International Mens Camp 2011, taking place August 22 – 26, 2011 near Surrey, BC. Click here to learn more and register. Waheguru Ji Ka Khalsa, Waheguru Ji Ki Fateh! CLICK HERE TO REGISTER NOW The much anticipated second annual Singhs International Camp 2010 is taking place August 29th through September 3rd at the beautiful Mountanview Summer Campsite (Camp Hope) in Hope, British Columbia, Canada. View the Camp 2010 Page for all the details!